Here are links to resources that we made available to our congregation and presbytery during the dismissal process. Although most of these resources are specific to our dismissal process, many were modified from other sources. Special thanks go to Saddlerock Evangelical Presbyterian Church (formerly the Wentachee Presbyterian Church) for providing foundational materials for our congregational forums. At the same time, the presbytery dismissed Pastor Silvio DelCampo and myself to ECO. This momentous decision was the product of months of hard work and prayer by the session, our Denominational Relations Team, and the Presbytery Resolution Team. We are grateful to God for such a gracious and Christ-honoring process. The prevailing feelings at last night’s presbytery meeting were love, grief, and hope. In addressing the presbytery, I shared that this experience is very similar to when a pastor decides to leave a beloved congregation to pursue God’s call in another field of ministry. The joy and anticipation of a new call are tempered with regret at leaving behind a group of people that we love. This Sunday during worship we will be celebrating this new beginning for First Presbyterian Church. We are now members of the Presbytery of the East in ECO, and our new faith-family is rejoicing with us as we move forward together in Christ. A new day has begun! 196 Yes, 8 No, which represents 96% of the members present voting yes to request dismissal. The Presbytery of Elizabeth will vote on our request on the evening of Tuesday, June 26. Please pray that the same spirit of graciousness will prevail at the presbytery that has characterized the process with the Presbytery Resolution Team. As of Friday, both the Presbytery’s Committee on Ministry and Trustees have approved the dismissal plan negotiated with the Presbytery Resolution Team with minor editorial changes. Praise God for providing His Word so we might know The Truth and for pastors who continue to preach the Gospel message each Sunday. -The creation of a new Presbyterian Denomination in “Just right” timing. -The adoption of a Gracious Separation Policy by the Presbytery of Elizabeth at the “right time”. -Faithful leadership by our pastors and Church Session. -The appearance of a unified stance on the part of our congregation. -A “successful” review of the minutes of our session and our membership records by the presbytery team. -Make sure that all active members have an opportunity to vote and that they will know why we are asking for dismissal even though they did not attend the forums prepared by our pastors. Encourage everyone who is able to attend. -Complete the application process so that there will be no “open period” for benefits for our employees. A special meeting of the Congregation of the First Presbyterian Church of Dunellen, New Jersey will be held on Sunday, June 10, 2012 at 12:15 pm. 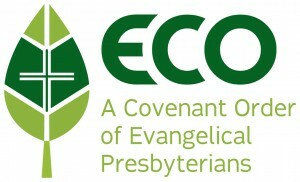 The purpose of the meeting is to act on the Session’s recommendation that First Presbyterian Church request dismissal from the PC(U.S.A.) to the Covenant Order of Evangelical Presbyterians (ECO). NOTE: A quorum of one-half of the membership (143 persons) is needed to conduct business. No other business can be conducted. Only members on the Active Roll of the church present at the meeting are eligible to vote. Here are links to some of the most important documents that can introduce you to the Covenant Order of Evangelical Presbyterians (ECO).